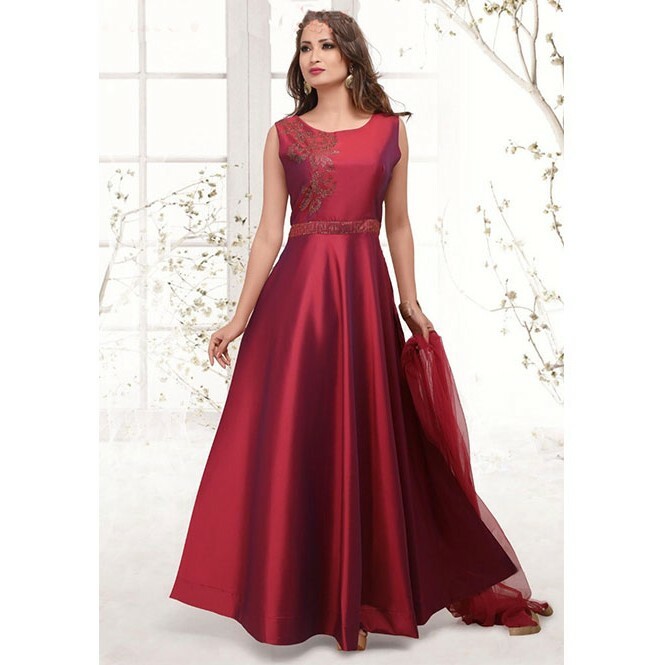 Catch Out Best Look For The Day With This Awesome Maroon Colored Salwar Suit today. Presenting you the new fashioned assortment that has come with superb satin Silk fabric comprises. 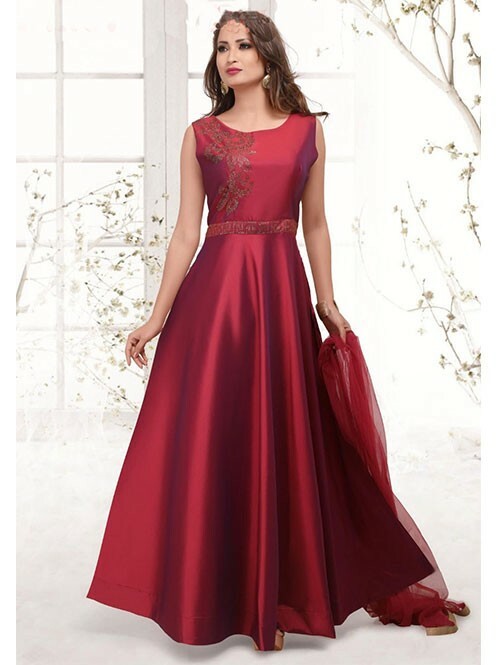 This Maroon Colored Beautiful Yoke Embroidered Ready Made Satin Silk Anarkali Suit With Matching Bottom and Dupatta is the perfect choice to gain majestic getup in the party events to grab the gazing looks. The stunning fabric with luscious shaded design makes it much more applicable to hit an ultimate on this attire.